Well, my obsession this summer turns out to be knives. But don’t get any wrong ideas. When I say knives, I mean knives for whittling and wood carving. That’s the true obsession. But knives themselves are a pretty close second. I am a guy after all. In getting obsessed with knives, it’s impossible not to get obsessed with that critical aspect of knives: sharpness. If you’re a guy, you already understand how this could be an obsession. If you’re not — and you don’t get it — just do a Google search for “sharpening knives.” I mean, there’s almost as much stuff on sharpness as there is on, say, wrinkle cream. Well, at least one-tenth as much! So you’re probably wondering by now why a guy like myself, who’s really into math, would be writing about knives and sharpness. The reason has to do with that concept: sharpness. As I’ve been poring over websites about sharpness and then buying and sharpening my own knives for hours on end, to the point where there’s hardly any knife even left, I’ve had some time to think about the sharpness of knives and the sharpness of minds. Those two words rhyme, so take a second look: knives and minds. As I’ve been honing and polishing away, I’ve been wondering how much use algebra is for most kids, and I’ve come to the conclusion that for most of us, algebra itself is not really of that much “use.” I mean, c’mon: how many of us — other than engineers — use algebra on a daily basis. Even I don’t! 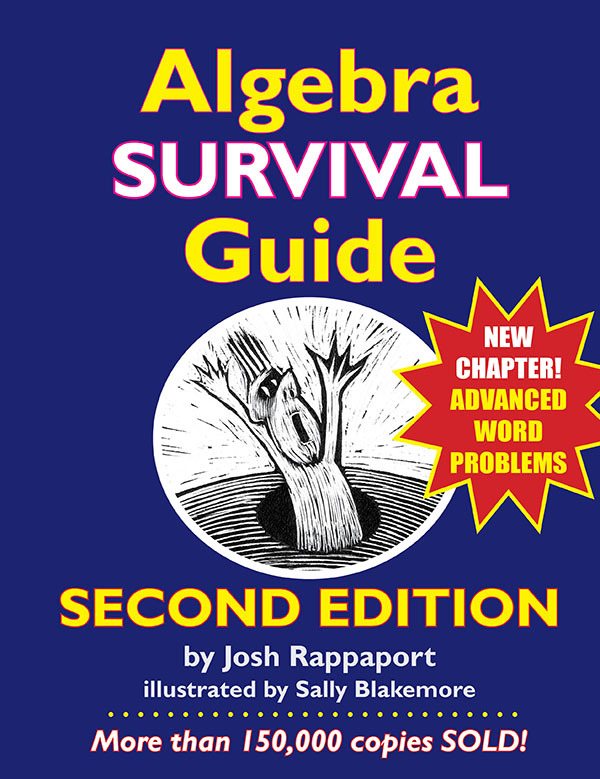 But, what I’ve also realized is that algebra is kind of like a sharpening stone, and our minds are like the knives. By doing math like algebra, geometry, trig, analytic geometry, and calculus, we are sharpening our minds. So even though we don’t use these math topics every day, we make our minds sharper and sharper for any occasion when we use numbers. It might happen when we (when we’re not sharpening our knives) are planning out our garden. We can use math to figure out how much space our rows of carrots will take up when we follow the directions and plant the rows 1.5 inches apart. Or it might happen when we are buying a car and we’re trying to follow the interest and the payment info. If we have sharp minds, we can do this stuff with relative ease. We can cut right through it, almost with a joy of power. If we have dull minds, we might just “guess-timate” or leave it up to the car financial guy. Whoa! What a mistake, huh! So keep on sharpening those minds … and knives. It will pay off, even if you don’t do this very kind of math today or even tomorrow. Numbers are all around. There are all kinds of opportunities to put those sharp minds to good use.